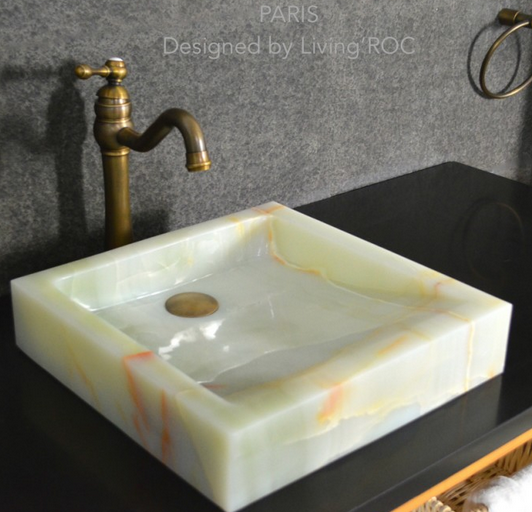 We at LivingRoc have a passion for natural trendy stone products. 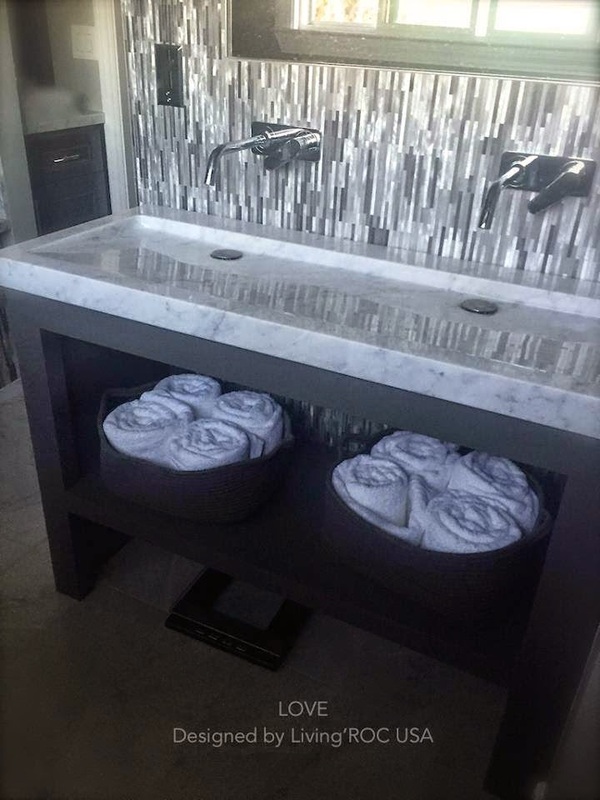 We welcome pictures from our customers own installations and from time to time we love to share those inspirations. Looking for trendy, chic yet affordable bathroom sinks, shower bases or vessel sinks? Search no more as you have reached the right destination! 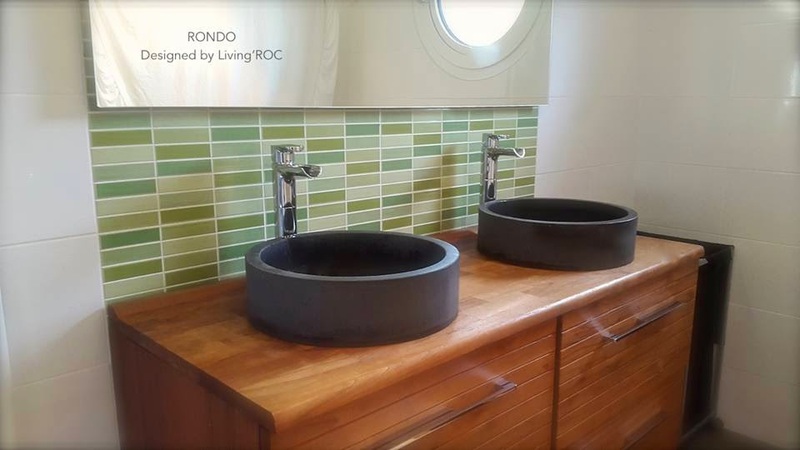 Rondo is a beautiful gray basalt stone round vessel sink. Pure and sleek lines will give a cool and chic look to your bathroom with its gray tones reminds us of the concrete color fashionable for the bathroom decor. 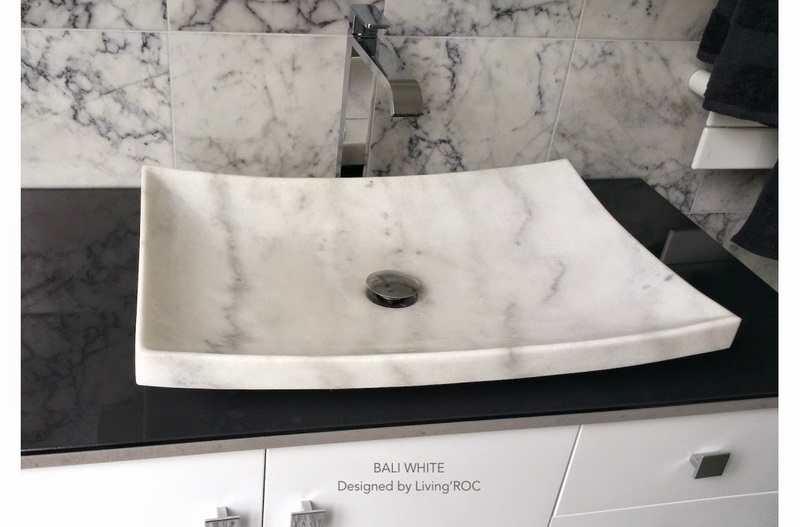 Natural stone double vessel sink LOVE in genuine Carrara white marble. This double trough sink has the option to choose with or without faucet holes. So you have the ability of choosing your style. Discover the well being provided by this beautiful piece, Love has a Zen style that gives an elegant and chic look to your bathroom. Bali White marble vessel sink made form Guangxi white stone. The sculptured edges and polished finish provides class and elegance. The slight gray thru out the marble with entice you to create a beauty of color. We thank all our customers for sharing their inspirational pictures with us. We invite you to visit us at LivingRoc to see what your imagination can create.